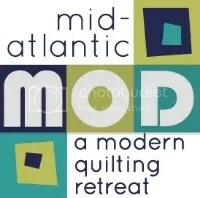 We are the North Jersey Modern Quilt Guild, a regional chapter of the Modern Quilt Guild. We are a group of quilters of all ages and experiences who gather regularly in the spirit of art, education, and community. Our members are a diverse mix of experts and beginners and we welcome visitors and new members. Members of the NJMQG participate in educational and charitable quilting activities, as well as monthly meetings where we share our own work. Dues are $60 annually, and entitle members to discounts to NJMQG and MQG activities/events; resources on the MQG site such as free quilt block and quilt patterns, articles, interviews, webinars; and discounts at SewJersey in East Hanover and Urban Sewciety in Westfield, NJ. Members receive preferred access to guild activities and MQG programs. What is modern quilting? Read about it here. For our monthly meeting schedule, see the Meetings page. We meet at the Community Church of Cedar Grove in Cedar Grove, NJ. Donate to NJMQG to support scholarships, community outreach, and charitable activities.